A 1977 graduate of Newberry College, Mrs. Stubbs returned home to help prepare excellent teachers for South Carolina's classrooms. She earned a Master's Degree in Secondary Math Education from Converse College and has completed numerous advanced graduate courses at USC, Clemson, and Furman in mathematics and technology. In addition, she served as an adjunct professor at Furman for six years and has also taught at USC-Spartanburg and Greenville Tech. Having served as an Instructional Coach for Greenville County Schools and Mathematics teacher for 28 years, Mrs. Stubbs brings a wealth of expertise to the Math Education program regarding current best practice in instruction and technology. She is an Intel Master Teacher in the Intel Teach to the Future program and is involved in the High Schools That Work initiative through the Southern Regional Education Board. She completed Learning Focused Solutions training and serves as a facilitator to schools in the Newberry area. Mrs. Stubbs is a Woodrow Wilson Scholar, Village Green Teacher, and a member of Who's Who among America's Teachers. 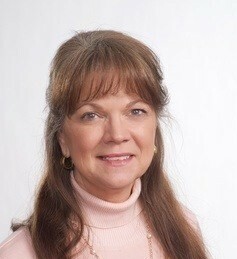 She has served as the Higher Education Liaison for SC-ASCD. In the Newberry Community she is the Newberry Rotary Club President for 2015-16 and has served on the board of the Newberry Opera House Guild as well as the Grace Lutheran Church School Board. As a consultant with the National Dropout Prevention Network, Mrs. Stubbs co-authored a curriculum, Making the Most of Instruction, and trained school facilitators to implement the instructional strategies in their schools. She also co-authored the Content Briefs for SC Mathematics Standards which will serve as a supplement to math teachers implementing the state math standards. Mrs. Stubbs is currently serving on the Core Curriculum Committee and chairs the Quantitative Literacy committee. She has served as Chair of the Instruction, Information, and Library Technology Committee and served on SACS, NCATE, and Math SPA committees. She has assisted in writing several grants that have totaled over one-million dollars for Newberry College. She currently serves as a Co-PI for the NSF REMAST grant to Recruit and Engage Math and Science Techers. Mrs. Stubbs has been an invited presenter at national, state and local conferences on the topics of best practices for mathematics instruction, assessment, cooperative groups, and the appropriate use of technology in the classroom.